Hi Stampers, todays share is a baby card using the Stampin Up Zoo Babies stamp set. I have had this set sitting on my shelf for a while and when our Happy Stampers private facebook group had a challenge a few weeks ago I decided to use this set. The challenge was a book fold card and boy was it fun to do. I got my directions for the cuts and folds from Sandi Maciver. Stop by and visit her blog for more directions on the cuts and folds for this card at http://stampingwithsandi.com/ This card will be the perfect match for my gray and yellow grid project that I shared a few days ago. Ribbon, buttons and pearls complete the look. If you need supplies to make this card and do not have a demonstrator I would be happy to help you. Please click my online store to order or contact me for questions. I would be happy to assist you. 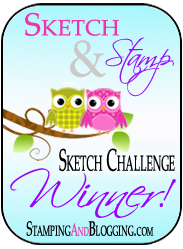 This entry was posted in Baby, Stampin Up Zoo Babies, Uncategorized. Thank you Amy. This card goes with the gray and yellow grid project that I did. Adorable card!! I would like to case this but wasn’t able to find the directions on Sandi’s site. Would you be able to send a link to my email? [email protected]. Thank you.